As humans we are largely creatures of habit. We find comfort in the familiar and any forays outside of that comfort zone usually result in large amounts of anxiety and fear. For many people that uncertainty can be crippling and thus we stick to the people-places-and things that we are used to, because we feel safe there. But what happens when those things most comfortable and familiar to you suddenly disappear? For Lepri BJJ/Alliance Charlotte member David Eilers that’s exactly what happened. Preparing to leave his home early one morning three years ago, a feeling of uneasiness came over him. His wife, noticing the sudden change in his demeanor began questioning him, only to find that the responses he gave her weren’t making sense. “Whatever responses I gave her, she didn’t understand. No matter what I said or tried to tell her it just wasn’t getting thru, and to make things worse I had absolutely no idea that the ‘words’ I was using weren’t actually meaning anything” says David. Fearing the worst his wife rushed him to the hospital hoping for some sort of explanation. Upon being assessed an unfamiliar word started being thrown around by the doctors “Aphasia”. Like nearly 800,000 people/year, David had suffered a stroke, seemingly out of nowhere. Asked what he attributes his continued improvement to, David credits his team of speech and language pathologists along with Jiujitsu for helping him return to form. “The best therapy isn’t $80/hour holed up in some clinic, it’s interacting with other people and Jiujitsu allows me to do that. Aphasia really affects the mental processing of language, so in daily life it takes me a little while to go from hearing the words being said-to understanding the meaning of the sentence as a whole. But in Jiujitsu the repetition from drilling and positional work allows my brain to make a connection that lasts. And that is helping to speed my overall comprehension. Of course the physical part helps, but the interaction I get with so many different kinds of people because of Jiujitsu, it’s really invaluable. I went from understanding maybe 10% of what was said to me, to looking at returning to work as a Financial Analyst in the immediate future. The difference is that remarkable”. An invaluable member of the team, David continues to challenge himself. From competing alongside his teammates to taking part in multiple training camps he refuses to let his setback dictate what he can and cannot do. The determination and commitment he shows are indicative of the Alliance Team values and he is surely someone other practitioners can learn a lot from. The end of 2016 is quickly approaching and with it comes the business of all the holidays! With New Year’s we celebrate a fresh start and new beginnings, Christmas the spirit of giving and Thanksgiving the attitude of gratitude. Thanksgiving grants us a unique opportunity to be grateful and express appreciation for the many wonderful things in our lives. In our jiujitsu community Thanksgiving can be a time for self evaluation and a reflection on the past year. Focusing on things we are grateful for can be source a happiness as we replace negative thoughts with those of thankfulness. Take a moment to reflect on some things you might be grateful for regarding your jiujitsu year. It could be that you are brand new to the sport and have found a new love. Be grateful that you have a healthy body that allows you to endure grueling training. Be grateful for a place to train and the gym family that you have grown to trust and love. Be grateful for your family that supports your love for jiujitsu and allows you time away from home. Be grateful that jiujitsu is something that you can enjoy as a family! Be grateful for your coaches who are patient and kind and want you to be your best. Be grateful for all of your experiences on the mat, good and bad, and how they have helped you grow this past year. You will find that your gratitude list is exponential and ever changing! Gratitude would be naught without expressing it. I challenge you this Thanksgiving season to not only ponder things in which you are grateful for, but to express them! Express your gratitude to coaches, teammates and your family and brighten their day! Expressing gratitude is easy! A simple, “Thank you for…” or even a small note left in a gym bag can make a big difference to someone. You will find that having an attitude of gratitude will uplift not only yourselves, but also all of those around you. Make your team bond stronger and therefor your jiujitsu better by simply having and expressing gratitude! As the end of the 2016 No-Gi season crept towards a close, all eyes turned to San Francisco-host city for the final event. 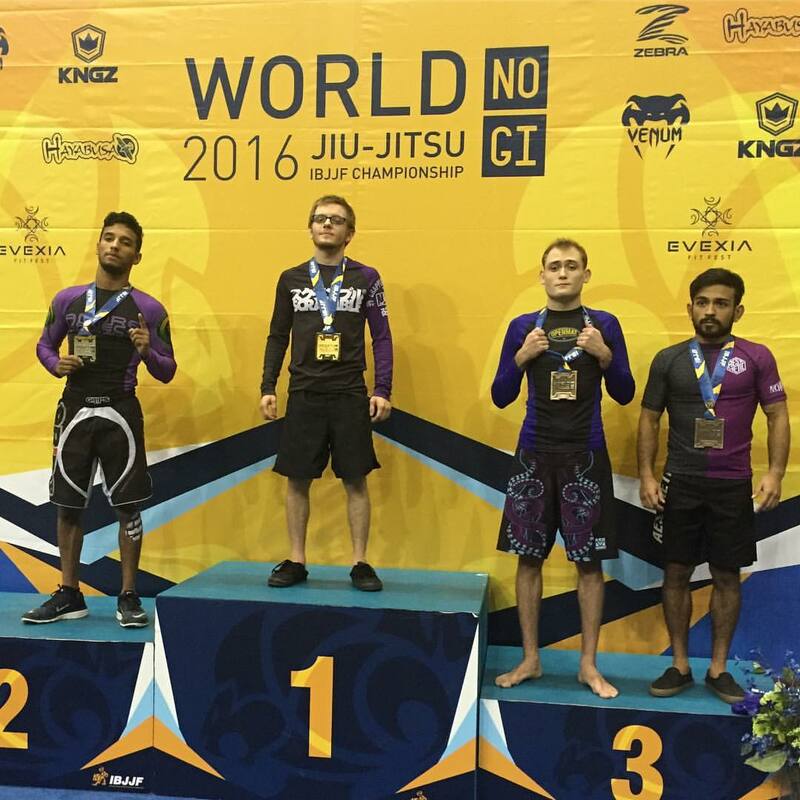 The 10th edition of the IBJJF No-Gi World Championship would provide an opportunity for grapplers from all over to make one final statement, one last push to assert themselves in their respective divisions. All weekend the intensity was high as competitors hoped to add the life changing title of “world champion” to their resume(s). Starting in 2007 with inaugural black belt champions such as Rubens “Cobrinha” Charles, Jeff Glover, Pablo Popovitch and Roberto “Tussa” Alencar, the tournament has long been a place where grappling standouts come to shine. Grapplers from all walks of life, and all different teams come to San Francisco to prove their mettle, and to demonstrate that their grappling prowess isn’t only limited to the Gi. 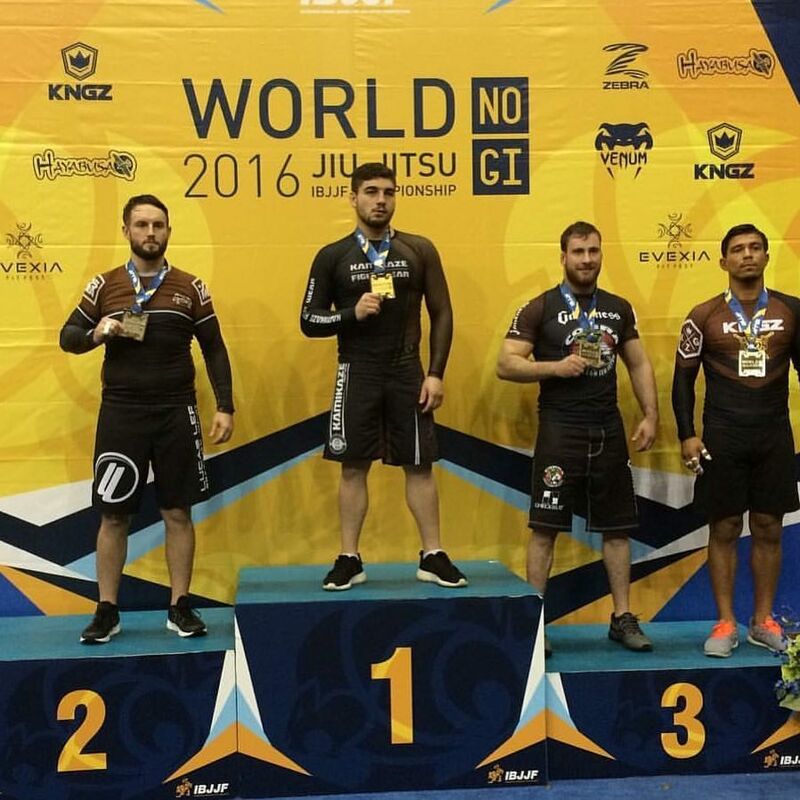 The IBJJF has long been known as the organization which houses the top competitors, and with this event being one of its premier No-Gi tournaments (along with No-Gi PanAms), the stage was set for more amazing performances. Within this field of historic grappling figures and future legends, a few competitors from Alliance Charlotte made the trip to the west coast and looked to make their own mark upon the sport, and to hopefully leave their names etched in history. 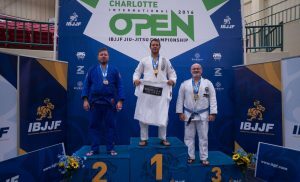 Hot on the heels of their successes at local tournaments like the New York Open, Charlotte Open and national tournaments like No-Gi PanAms these few hoped to finish the year on a high note. As the weekend progressed, and increasingly more competitors were eliminated they continued to fight. Thru attempted sweeps and hail-mary submission tries by their opponents they battled, the memory of grueling training sessions and lessons learned fueling them to fight harder, to push until the end and to give it all they had. Though they were small in number, they fought as if the entire team were with them-determined to stake their claim as the best. 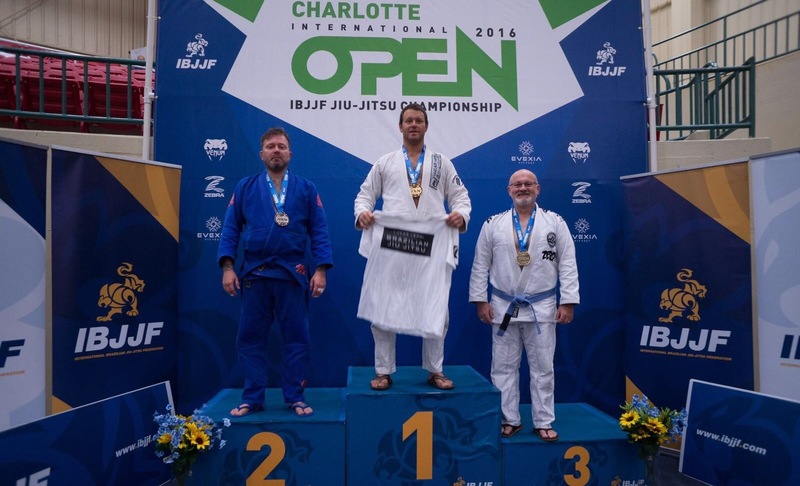 At the end of the weekend as brackets were analyzed and results checked and rechecked, three from Lepri BJJ-Alliance Charlotte stood tall on the podium. They had done it, fighting their way thru fields of talented and determined competitors they had reached the coda. Fighting until the very end they made sure to end their season on a high note, and what a high note it was with Roberto Jimenez becoming the blue belt No-Gi World Champion, Dean Lewis becoming the purple belt No-Gi World Champion, and Mike Schweiger becoming the brown belt No-Gi Silver Medalist. On top of their amazing performances Team Alliance blackbelts had yet another great showing; Thomas Lisboa took 3rd place in the black/Adult/Male/Light-Feather division, Mansher Khera took 3rd in the black/Adult/Male/Light division, Jonathan T. Satava took Second in the black/Adult/Male/Middle category, Matheus Oliveira Diniz took Third in the black/Adult/Male/Medium-Heavy division, Ana Talita de Oliveira Alencar placed First in the black/Adult/Female/Feather division, Megan Ann Nevill placed Second in the black/Adult/Female/Medium-Heavy division, and Andresa Correa won gold in the black/Adult/Female/Heavy division in addition to taking 2nd in the Open Class. One of the most beautiful parts of Brazilian Jiu-Jitsu is the way in which it unites people from all walks of life. Once you step onto the mats it doesn’t matter where you come from, how much money you have means nothing, and the progress you make is a direct result of the effort and hard work you put in-nothing else. In that way, Brazilian Jiu-Jitsu can be thought of as a fresh start. One person whom has accepted and embraced that new beginning is 8X World Champion- Bruno Malfacine. Always interested in martial arts but unable to afford the monthly fees Bruno went without, until his uncle stepped in. Seeing Bruno and his brother involved in a neighborhood fight their uncle decided enough was enough and brought them to an academy to start learning self-defense. Initially unable to support himself financially, it was this uncle that would change Bruno’s life, and unknowingly….the future of jiujitsu. Always a great friend of the Lepri BJJ and Alliance family, Bruno was kind enough to spare some of his time and gracious enough to answer a few questions we had. How old were you when you got your black belt. How long did it take you to attain it? At 19 years old I received my black belt, it took me seven years to achieve it. And during those seven years I actually only took one break from training, and that was for six months. Besides that six months of being out I was training consistently 6 or 7 hours per day-everyday, and competing with everything that I had. My dream was always to be the best athlete in my division, and even with so many struggles in my life, deep down I knew it would work out one day and it did! Which of your world championships was most special, and why? Every year while you are training for the worlds you have to overcome something. All of the hard work, the sacrifices you make, you give up so many things to spend more time on the mat. Each one is special and means something to me. But I would say two are most special. In 2012 I fought with a serious injury in my shoulder. I had to train the whole camp with a brace because my shoulder was popping out of socket so many times, sometimes twice a day, but I decided to compete anyway. Thank God nothing happened in the competition and I could win the tournament, right after I had the surgery. In 2015 during the winning of the 10th Alliance World Title. We had won the tournament before all of the black belt finals took place and the celebration was right before my final match. Being part of that moment was something REALLY special. Who do you model your style after? You’ve won 8 world championships, whats next for you? What’s your ultimate goal? Actually…..many people don’t know this but I decided to retire last year. All my friends knew, but I just did not make it public. I received a proposal to transition over to MMA, and because of that I was to dedicating my career only to MMA but things didn’t work out. After that setback my professor Fabio Gurgel and my friends started to motivate me to compete again. Fabio came to my house last year and we talked a lot. I remember I spoke with him and told him that I was going to compete again, and if I got 8 I would go for 10. I’m just so competitive and it’s been like this my whole life, if I decide to do something I give 100% to make sure I will be ready to perform the way that I want, it’s going to always be like that. But now I feel that I’m there more for my friends and students, to help them and see them reaching their goals instead of mine. It makes me happy and honestly satisfies me just as much. What are your thoughts on the recent increase in submission only tournaments? I love the submission only events. But to me, the problem is that so many competitors don’t embrace the idea/concept of the rules and that’s why we see so many draws. Most of them are fighting to not tap, and then they leave the mat happy because they didn’t tap, isn’t how I am. My first and only submission only event I fought against a tough opponent, almost 30lbs heavier than me. I did my best and fought well but I just couldn’t submit him. I left so frustrated that I couldn’t sleep for a couple of days. I felt the same as being defeated. Would you be interested in any super fights? If so, who would you like to face? There are definitely some athletes that I admire and that I would like to face one day. I’ve always been interested in facing Caio Terra in a NOGI match with submission only rules. He is a world champion so many times in NOGI and I would like to see if he’s as good as he is marking himself OR, he just won so many times because he’s lucky for not having so many guys in his division. What’re you thoughts on IBJJF vs Submission-only competitions? I’ve competed under the IBJJF my whole career. It’s great what they have been doing for the sport, working really hard to provide the best for the athletes. 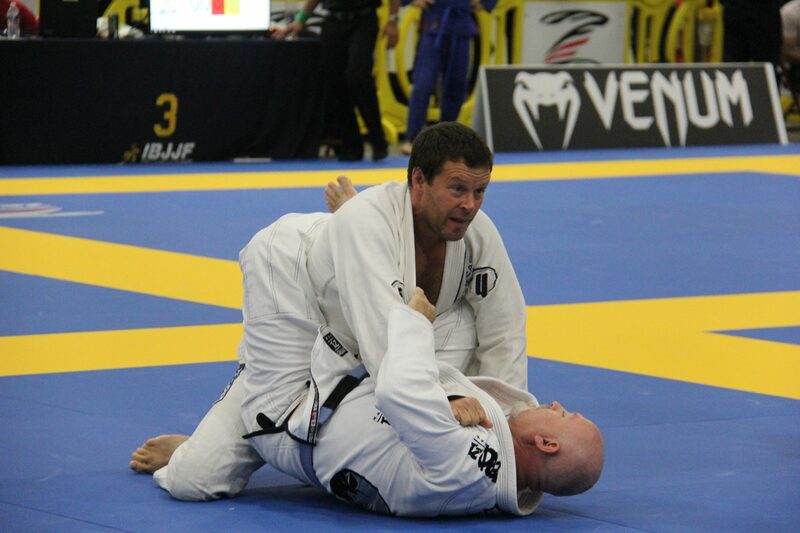 At the IBJJF you will see most of the competitors leaving everything on the mat because at the end there are no draws and there will only be one champion. You need to take every risk to be number one. Though, as I said before the idea of submission only is great. They just have to create the best match up’s because that way even if the submission doesn’t happen we will be able to see a great entertaining match. Plus, the submission only events are trying to make the sport more professional by paying all of the athletes, which is fantastic. The IBJJF is trying to do the same, I just think that instead of paying the PRO which is a completely different division, they should save that money to pay the most important competition, that being the World Championship. Toughest person you’ve grappled against? I think it’s unfair to say only one name when you’re part of the best team in the world, a team with so many phenomenal teammates. The only thing I can say is that a few times I wanted to cry because of the sequence of the rolls I had to do. 10 minute rounds with each, starting with Cobrinha, then Mario Reis, then Lucas Lepri, then Michael Langhi, then Monstrinho and Laercio.. it’s nothing easy. But, I’m blessed because I know without my team I couldn’t have gotten this far. Who do you like to watch/ who’s your favorite grappler? I could tell you a lot of names from my team but I will pick someone from outside. I really like to watch Rodolfo Viera competing. He’s so technical, with an aggressive style and he’s always looking for the submission. It’s the perfect combination. Do you still plan on fighting mma? I still think about it and I see myself as a champion If I decide to do. And I’ve been talking with some people….so maybe one day.